In the winter, I feel a drastic change with my lips and skin! So, I thought I’d quickly show you my favourite lip products that I use 24/7 in the winter time! 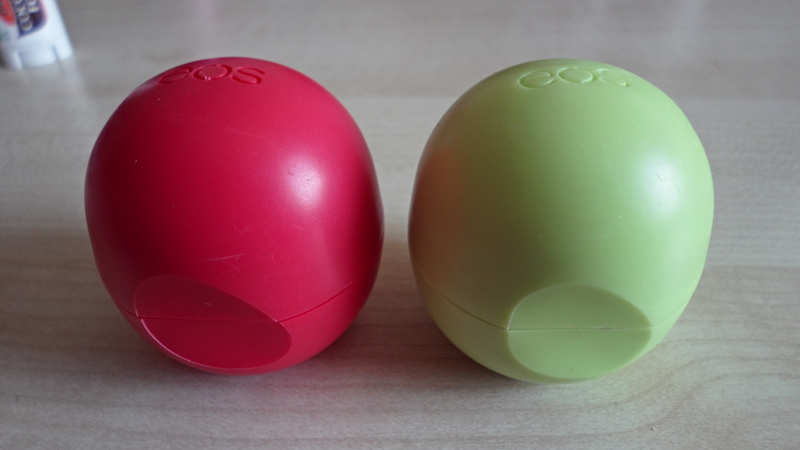 I spotted these EOS Lip Balms in Boots last year, but they were a hefty £8.99 each – I didn’t risk purchasing them incase I didn’t like them. So I went to Florida in the summer, and I actually saw these in Walmart for $2.30 each – which is ridiculously cheap! That’s about £1 something! I haven’t looked back since these, they’re amazing and smell so good. 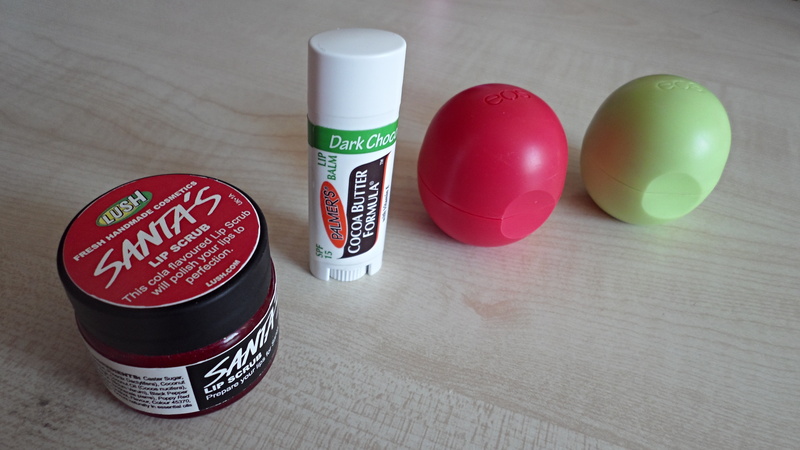 These are definitely my all time favourite lip balms. I can’t wait to eventually get my hands on more varieties! I have also seen that they sell them in Selfridges now, too. 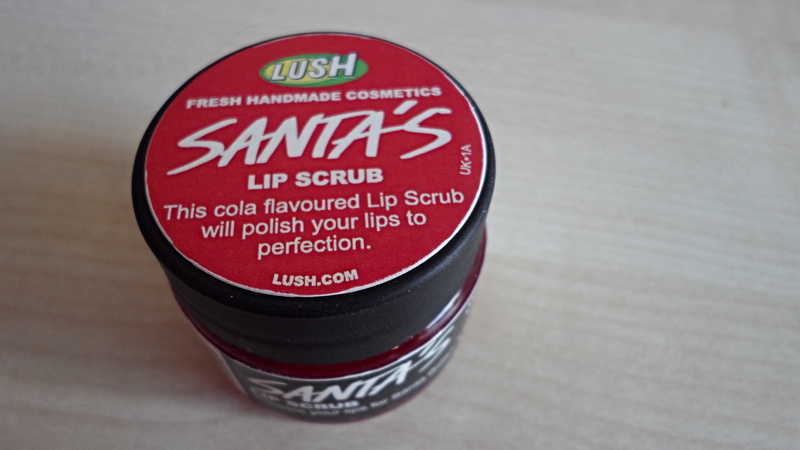 I went to London in November, feeling all christmassy – then I went into Lush and saw this limited edition ‘Santa’s Lip Scrub’. This is amazing, it tastes like cherry cola, although I feel that I don’t enjoy it as much as the others (Mint Julips mainly) – as it’s a lot stickier and (I hate to say the word), but ‘moist’. 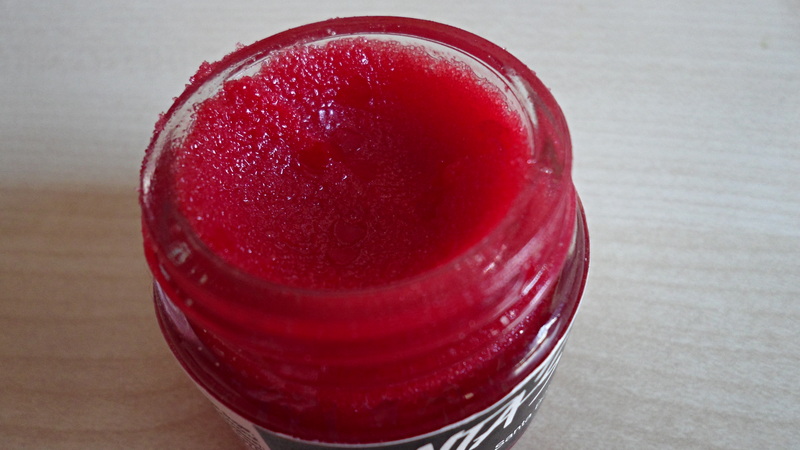 It is still an amazing product though, that makes your lips feel amazing before putting lip balm or lipstick on! I recently discovered this little beauty – I use Palmer’s Cocoa Butter every single day, and I love it, so when I saw this – I couldn’t resist purchasing it! I opted for the Dark Chocolate and Mint flavour, it smells SO GOOD! 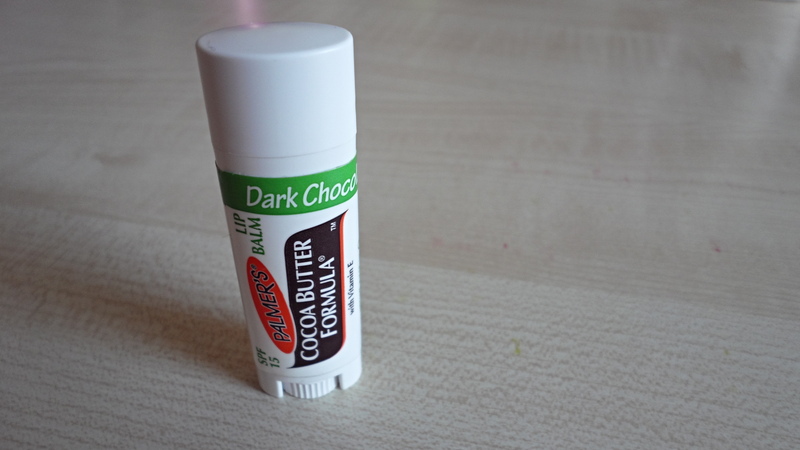 I would definitely say that this is my second favourite lip balm, after the EOS balms! I’ve never seen the EOS balm in Boots… I ordered them online recently, waiting for them to arrive, I’m glad you like them too. It’s funny, cause in America they’re supposed to be an affordable lip balm, while here they’re ridiculously pricey.